finding one in good condition is not that easy. It's totally your decision. There's little point in asking what a forum specific for the car brand and model would choose. I never got the B7 RS4. It never felt 400+bhp fast and I'd be confident the M140i would actually be faster. The advantage of the RS4 is values are going up. Unless your car needs maintenance it will be cheap ownership. The M140i depreciation will be a major factor. Also the Mlite won't hold the car park kudos of a RS4. Horses for courses as they say. Equivalent Audi Hot "Hatch" to the M140i is the S3. IMO if you're looking at RS4's, you should be comparing them to the M3. Thanks for the quick answers. I know that i should be comparing the RS to the “real” M Cars. But i felt like the Bmw m140i came the closest to my old RS4. If there was a BMW M3 or 1M as a station wagon and even as a manual i would probably own it already. The new V6 RS4 isnt really in my sight either. I think i might keep the RS4 a bit longer and put up with its costs and maybe in a year or two there are some used already depreciated m140i s that i could trade the RS4. I've gone the opposite way to you (m135i - RS4) because while the M135i is a very good car, it's pretty dull as a daily drive. At the end of the day it's a one series with a nice engine, and it does feel that way. The RS4 by comparison is an event when sat in traffic/motorway/b roads, which is why I got it. There won't be another car like the B7 RS4, so I would hold on if possible, but the M140i is still a great car. M-Lite depreciation is quite steep, lots of PCP deals ending and the market is flooded. I'd enjoy yours a bit longer, come back in a year or so. Depending on how deep your pockets are, you can make an F81 M3. 63NP on Instagram has done exactly that. 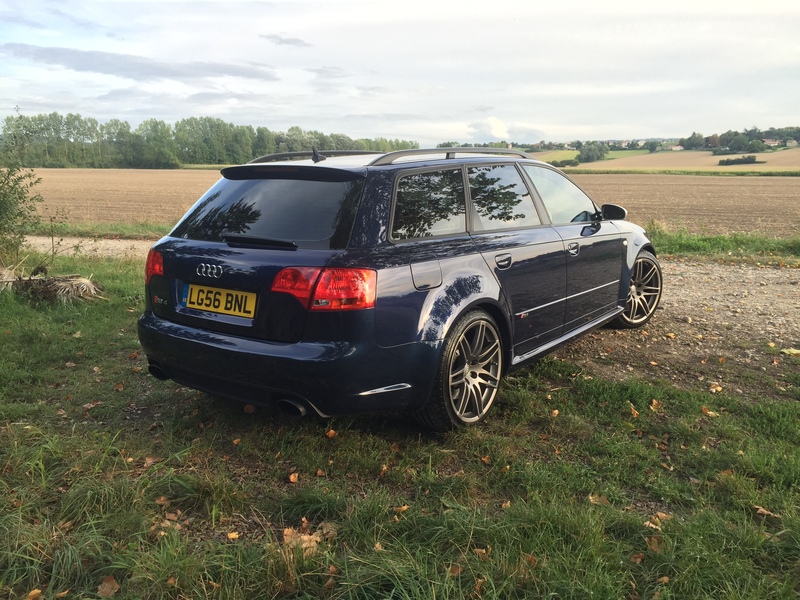 How about keeping the RS4 and get yourself a cheap workhorse runabout to stick the miles on? I had a lovely B7 RS4 Avant a few years ago. I loved that car, probably one of the best RS Audis ever made imo. Unfortunately, It went to pay stamp duty on a house I purchased and not a day goes by I don't miss it. I am however, greatful to not hand MRC 4 figure sums each time it went in for a 'small' problem. I've got an M140i for driving to and from work and I'm not disapointed in the slightest with that car either. The M140i is probably the quicker car, my RS4 was decoked and had an MRC stage 2 so 440hp on their dyno, and I still think the M140i is the quicker car in a straight line. The bcabin quality in the BM is step back (It's a 1 series after all) and the steering feel are polar oposites, I still had the DRC on my RS4, so the ride was far superior too. Infact, as a like for like comparison, it's really not looking good for the BMW. 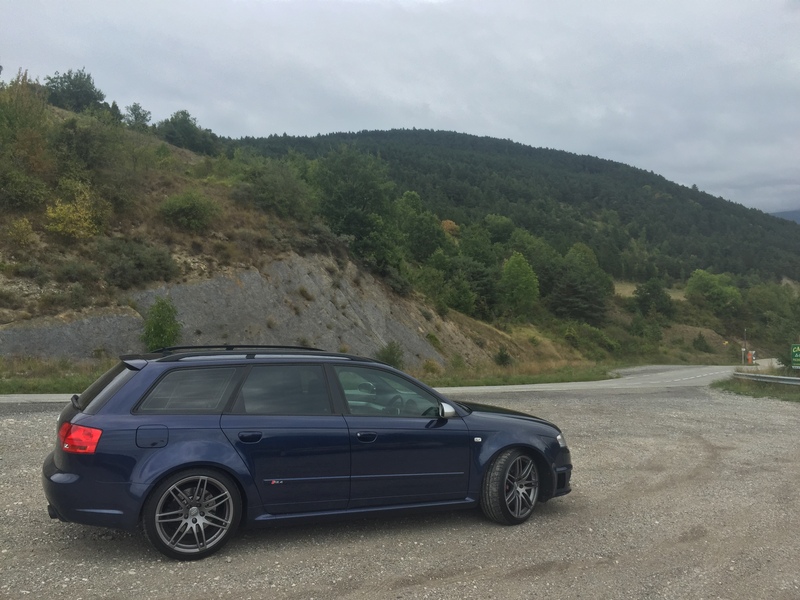 The noise of the RS4, that's what I miss the most, the just off idle deep burble and the 8.5k rpm redline (MRC raised mine with the Stage2) scream were just amazing. Don't sell it, if its your only car, the straight line speed will evently become boring and you'll dearly miss the RS4. I've got a 997.2 C4S to replace it now and I still miss the RS4. 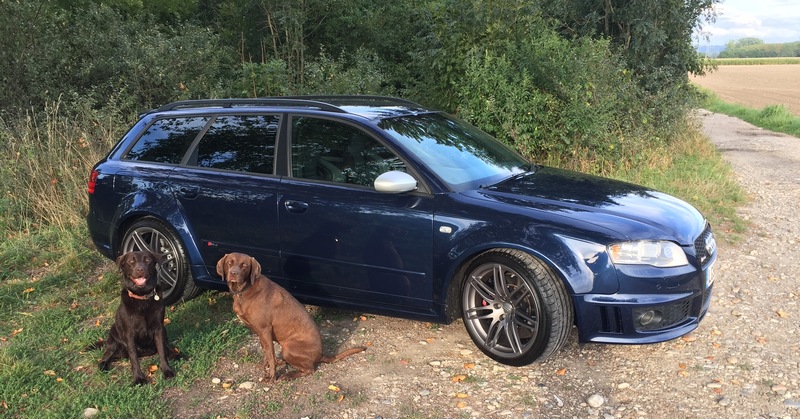 The best excuse for an RS4 Avant - Puppy transport. I worked in the South of France for 3 years, so I regularly took the car down and did Route Napoleon on my days off.